A PICK up-driving, heavily tattooed cowboy is being hailed a hero for his vital role in bringing the Texas church massacre gunman. Johnnie Langendorff was driving past the First Baptist Church in the small town of Sutherland Springs just moment after Devin Patrick Kelley opened fire on parishioners inside during morning service, killing at least 26 people. As the gunman fled, another bystander - a local man believed to live next to the church - fired on him with his own rifle. Langendorf saw this exchange of gunfire and stopped to assist, he told TV news outlet KSAT 12. "The shooter had taken off, fled in his vehicle," the good Samaritan recalled. "I just acted and got (the bystander) off the road. He explained very quickly what happened and he got in the truck. I knew it was time to go." 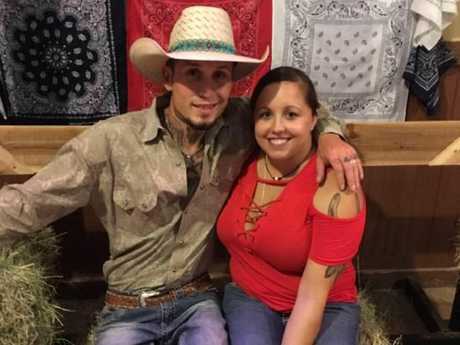 Johnnie Langendorff, pictured with his girlfriend Summer Caddell, has been hailed a hero for chasing down the church shooter. They chased Kelley for some time at high speed, reaching 150 kilometres per hour, before the killer crashed. "He lost control. I put the vehicle in park, the other gentleman got out. He had his rifle drawn but (the shooter) didn't move after that." Mr Langendorf said he didn't know who the other hero was. 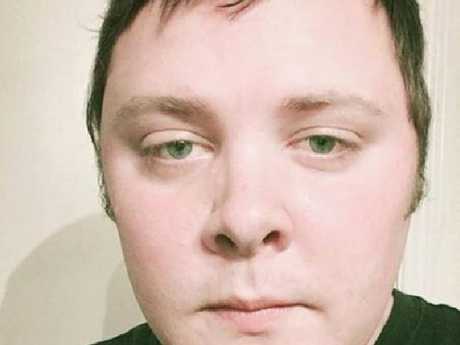 CBS has released this image of the Texas church shooter Devin Patrick Kelley. It's not yet known what prompted Kelley, a 26-year-old former Air Force officer, to carry out his killing spree at the small town church, armed with a Ruger assault rifle. However authorities revealed a video camera was rolling inside and will now become a key part of the investigation. 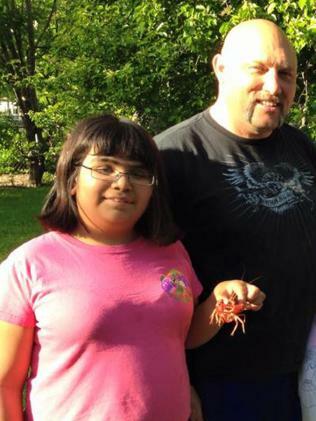 Among the dead is Annabelle Pomeroy, the 14-year-old daughter of the church's pastor Frank Pomeroy. 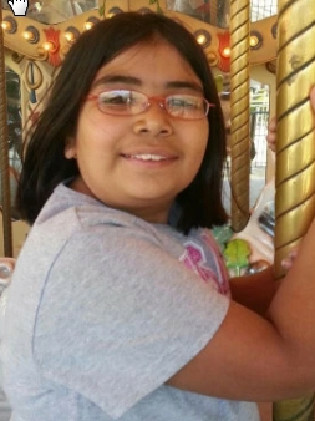 "She was one beautiful, special child," Pomeroy said. The pastor, who was not in the church at the time, said he feared "every one" of his close friends had been murdered. She is being remembered as a beautiful soul. A two-year-old child was reportedly among the wounded - although this is as yet unconfirmed by police - and a pregnant woman was also reported to have lost her life. Other victims included a six-year-old boy named Rylan who was in surgery after being shot four times, his uncle said. 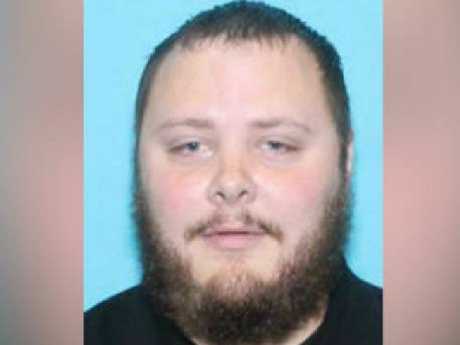 Freeman Martin from the Texas Department of Public Safety said Kelley parked at a service station across the road from the church about 11.20am, crossed to the church and started firing outside the building. He then walked into the church and continued spraying bullets. The death toll included 23 parishioners inside the church, two outside the building and another who died after being taken to hospital. A teenager says the layout of the church would have made it difficult for congregants to flee a shooter who came in the front door. Hunter Green, 16, described the building as having only small exits on the side and in the back. If a gunman came in the front door, Green said "they wouldn't have had anywhere to go." He says he attends the church with his girlfriend but they skipped the morning service after a late date night. Investigators are trying to piece together information about the shooter, his background and the motive for his horrific crime. Local news outlet My San Antonio reported police are combing Kelley's home for explosives and other weapons, with a dog unit at the scene. In addition, News4 San Antonio reported the bomb squad was sent to investigate a car abandoned near Sutherland Springs, believed to be connected to the shooter. CBS News reports Kelley was a former US Air Force member who served between 2010 and 2014 before being dishonourably discharged. NBC News reported he was court marshalled for an "assault on his wife and child". The Pentagon confirmed he served as an airman "at one point" but additional details about his military past were not immediately available. The New York Post described Kelley as "married and a resident of New Braunfels, a suburb of San Antonio" about 55 kilometres away. An image of Devin Patrick Kelley taken from his Facebook page before it was removed. The Daily Beast reported he volunteered briefly teaching bible studies to children. The website published a screenshot of a post purporting to be from Kelley's Facebook profile - which has since been removed - featuring a picture of a AR-15 semiautomatic weapon. He captioned it: "She's a bad b****." 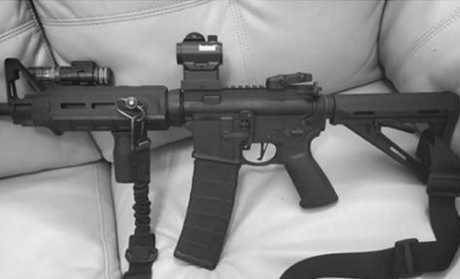 A picture published by The Daily Beast, said to be from Kelley’s Facebook page, of a gun. WITNESSES REVEAL HORROR: "THIS WAS RAPID FIRE"
Locals in the small town said the shock of the church service attack was "indescribable". "This was semi automatic fire, this was rapid fire. It was very disturbing," said local resident Carrie Matula, who lives near the church. "This is a very small town. Everybody knows everybody, this is just devastating. It's going to change the while dynamic of this area." More than 100 locals were gathered in a community centre, some waiting to hear if they had lost loved ones. She described the mood inside the centre as: "Just shock and dismay and mourning and lots of people praying together and praying for their neighbours and their loved ones". Scott Holcombe and Sarah Slavin told The New York Times that their parents, Bryan and Karla Holcombe, were killed. Scott Holcombe said: "I'm dumbfounded. This is unimaginable." "My father was a good man and he loved to preach. He had a good heart. They knew where they were going. There's peace in that." 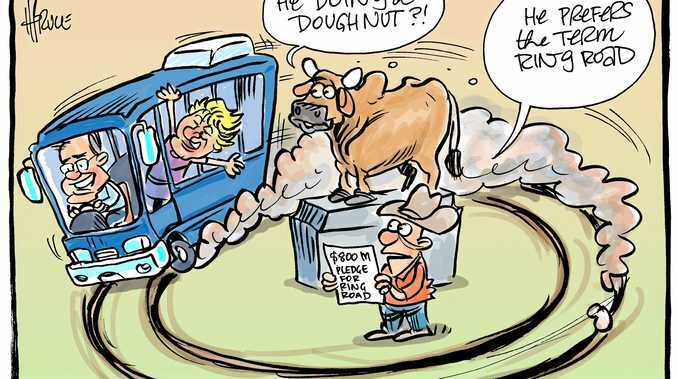 Sutherland Springs has a population of less than 400 and is located 48 kilometres southeast of San Antonio. The massacre has claimed "about seven per cent of the population", the New York Times reports. An eyewitness, who works at a petrol station across the road, told ABC News: "We heard several shots and we all started running inside the store. "It lasted about 15 seconds. I yelled, 'Get down! Get inside' and we all went into hiding." She said the gas station locked its doors. "We have not reopened. "There were officers that were checking the wounded in here were asking them questions." KSAT showed video of several fire and police vehicles at the church and a photo of a helicopter arriving to transport victims to hospitals. The area is known for its annual peanut festival in nearby Floresville, which was most recently held last month. "We're shocked. Shocked and dismayed," said state Senator Judith Zaffirini, a Democrat whose district includes Sutherland Springs. "It's especially shocking when it's such a small, serine area." First responders converged on the small town and helicopters have been taking victims to hospitals, with the FBI also on the scene. A spokeswoman for Connally Memorial Medical Center in nearby Floresville said the hospital received eight patients with gunshot wounds. Four had been transferred to San Antonio. Texan Governor Greg Abbott tweeted his shock in the wake of the tragedy. "Our prayers are with all who were harmed by this evil act. Our thanks to law enforcement for their response." At a later press conference, Governor Abbott said it was: "the largest mass shooting in our state's history". "There are so many families who have lost family members. Fathers, mothers, sons and daughters," he said. His voice broke as he said: "The tragedy is so much worse that this took place in a place of worship." "There are 26 loves that have been lost," he said. "We don't know if that number will rise or not. All we know is that's too many and this will be a long suffering and mourning for those in pain." In the immediate wake of the tragedy attention turned once again to America's ongoing gun control debate. Senator Chris Murphy, who represents Connecticut - the location of the Sandy Hook shooting - issued a powerful statement that has since gone viral. In it, Senator Murphy said "none of this is inevitable" and that "no other country endures this pace of mass carnage". Shannon Watts, founder of the Moms Demand anti-gun movement, took to Twitter to point out that since the start of 2009, Texas has seen more mass shootings than any other state. "In addition, (Texas Governor Greg Abbott) is a staunch advocate of the NRA, which endorsed him in return," Ms Watts wrote. Comedian and television host Chelsea Handler pointed blame directly at Republicans. "Innocent people go to church on Sunday to honour their God, and while doing so, get shot in killed. What country? America. Why? Republicans," she wrote. Author Stephen King echoed the sentiment. "How many more have to die before we enact sane gun control laws?" Former President Barack Obama, who fought for stricter gun controls in the wake of several mass shootings during his time in office, took to Twitter in the wake of today's tragedy. While issuing his condolences to the families of victims, he also called for action. "May God also grant all of us the wisdom to ask what concrete steps we can take to reduce the violence and weaponry in our midst," he wrote. More than 100 people gathered after dark on a grassy street corner within sight of the church where the shooting occurred for a prayer vigil. Attendees, including Governor Abbott, lit candles while some wept and others hugged Sunday night. They could see the church sign lit up and emergency lights flashing. The vigil across the street from a gas station convenience store where law enforcement officials say the shooter stopped before the attack. Mike Gonzales, who does not attend the church but lives near says: "The people of this church are wonderful people." Gonzales added, "We're coming together to pray for them and show the world that now, in the midst of darkness, there is light."